There are two new scams making the rounds this year you need to watch out for. Here, scammers do some homework and find out the names of your company executives or whomever is in charge of the payroll department. After this, they employ a technique called business email spoofing, where they pose as that person over email. Don’t click email links! Clicking on them could infect your computer with malware or take you to a fake third-party site designed to steal your information. Hover over links. If the email has a link, hover your mouse over it to reveal its true destination. If something seems fishy (or phishy, as the case may be), don’t risk clicking on it. Don’t open unsolicited emails. If you haven’t asked to be contacted, or don’t know who sent the email, put it straight in the recycle bin. Be very, very careful about sharing personal information. Even if the email looks real, it might not be. And, don’t share your bank account, credit card, or social security data to anyone you don’t know personally. 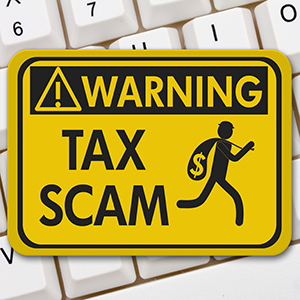 You also might want to share this blog on social media or in a short email warning your coworkers about this particularly nasty scam! Missy works on the Corporate Communications team and reports stories to TDS employees and customers. This is right up her alley because she’s an extrovert and also a big fan of research (really, she’ll look up just about anything that strikes her interest). Missy is a native of Madison, Wis. with an undergraduate in Anthropology and a master’s degree in Life Sciences Journalism from the University of Wisconsin-Madison. Her interest in the Internet as a mass media shaped her work towards a PhD in Journalism and Mass Communications. She’s also worked as an editorial assistant, copywriter, and production artist. In her off hours, Missy is a crafter, Pinterest addict, reader, wife, and mom of two kids. Four things you can do to honor MLK Jr.